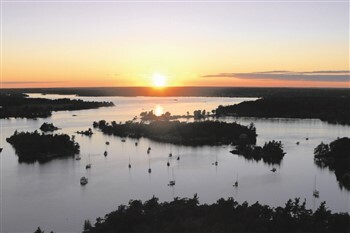 The 1000 Islands are dubbed the "Garden of the Great Spirit" by the native Iroquois for its bountiful harvest and beauty. Today, visitors and residents still find this gorgeous garden of water and woods to be among the most beautiful places on earth. This region offers a bounty of recreational and heritage experiences spanning two nations. It's here that the Province of Ontario, Canada and New York meet. 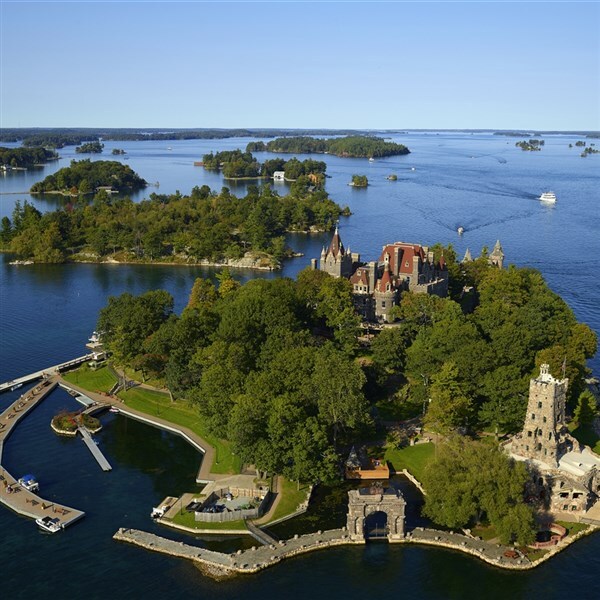 The rich history and unparalleled beauty of the 1000 Islands has lured visitors for generations and we are traveling there for a three night stay. 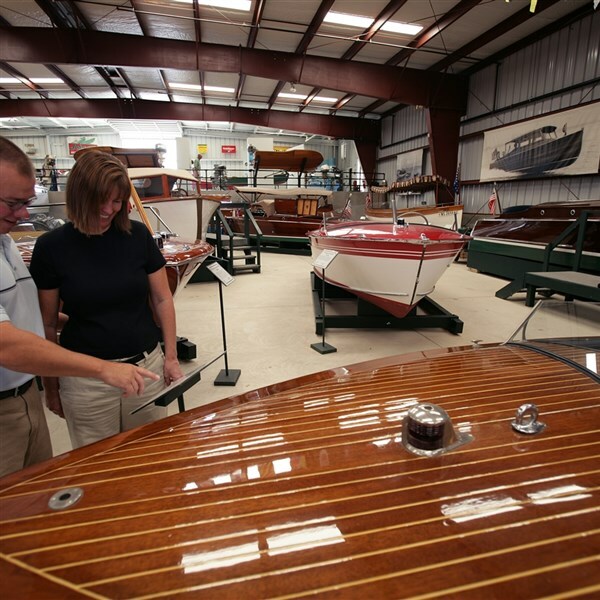 The first stop will be at the Antique Boat Museum in Clayton. Here we will see the largest collection of antique and classic boats on display in North America, some date back to the early days of the 1900s. We will then check-in to our lodging at Riveredge Resort on the waterfront in Alexandria Bay. Dinner is included at the resort this evening. This morning, following breakfast, we will begin our day on Heart Island with a self-guided tour of Boldt Castle. This 129 room replica of a Rhineland castle was built over the course of four years at the turn of the century by an entrepreneur, George Boldt, for his wife as a "summer home". Don't miss the playhouse, dovecote, gazebo, power house or the lovely gardens. 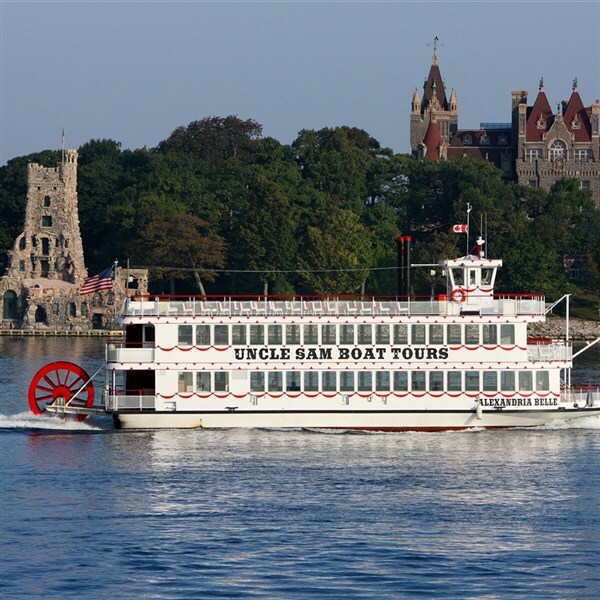 Next we will depart for Uncle Sam Boat Tours for a cruise to Dark Island for a tour of Singer Castle. We will enjoy a Boxed Lunch aboard the boat. Singer Castle was built at the turn of the century by Commodore Bourne, president of Singer Sewing Machine Company, as a hunting lodge. The cruise covers an eleven mile section of the St. Lawrence River not offered in any of our other tours. 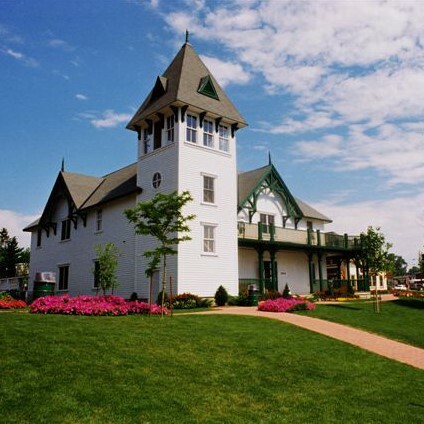 The experienced tour guide provides a lively narrative during both the down river trip to the castle and return trip back to Alexandria Bay directing your attention to points of interest and sharing historic, environmental and seaway facts. At the castle, trained guides will greet us and provide a one-hour walking tour. We will then return to Alexandria Bay where there will be time to freshen up before dinner at a local restaurant this evening. After breakfast, we will depart and continue our touring to Kingston, Canada. We will stop at the 1000 Islands Skydeck for a fascinating view of the islands. From its 400 ft. vantage point high above the river, you will get a totally different perspective of the islands. Then, on to Kingston to meet a step-on guide who will take us on an exploratory tour of the city covering all of the historic old town and shopping district, as far east as Fort Henry and as far west as the Kingston Penitentiary. We then will board the Island Queen for a luncheon cruise. Our route on board the triple deck boat winds its way through the small cottage islands of the Admiralty Group featuring Napoleon's Hat, Wanderer's Channel, the Bateau Channel, the new, opulent Mandalay Mansion and the historic sights of Kingston. Following the cruise, we will return to Alexandria Bay where you will be on your own for dinner this evening. Today, following breakfast, we will depart for Sackets Harbor. We will have a driving tour followed by a visit to Sackets Harbor Battlefield State Historic Site; tour the Navy Commander's home reflecting life in 1860, War of 1812 galleries, and gift shop. At the Village of Sackets Harbor Visitors' Center, the community founder's 1803 home is the showplace for an excellent orientation film and gallery displays. The United Presbyterian Church showcases Tiffany windows and an impressive pipe organ. There is so much to see and learn in Sackets Harbor. Lunch will be on your own in Sackets Harbor before we depart for home. We will arrive home later this evening.